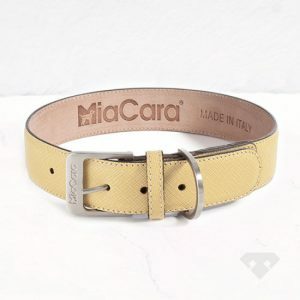 Timeless in design, playfully sophisticated and crafted to the highest quality standards. 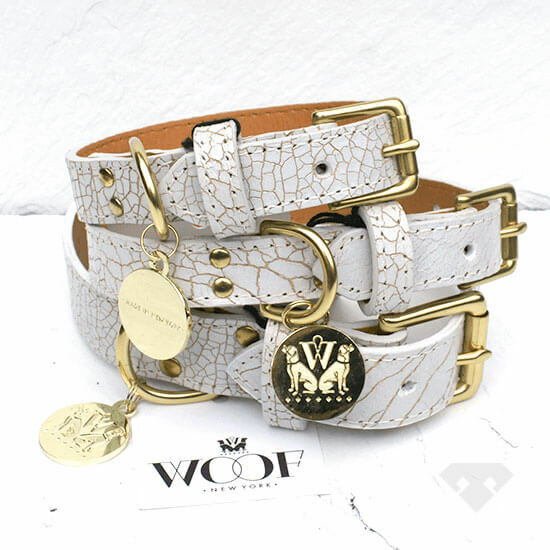 We love this unusual cracked white collar from Woof NY. 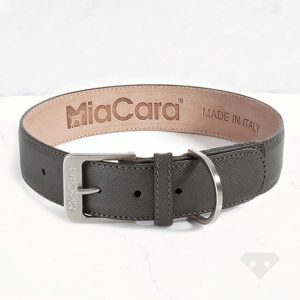 Beautifully textured, finest quality Italian leather hand-selected to ensure flawless designs and maximum durability. 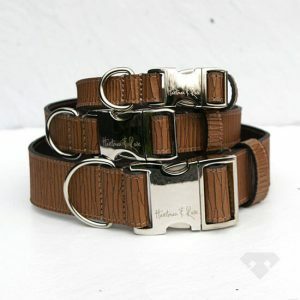 Every collar is custom embossed, has hand painted edges and is fitted with luxurious solid brass hardware. Meticulously handcrafted in the heart of Manhattan. 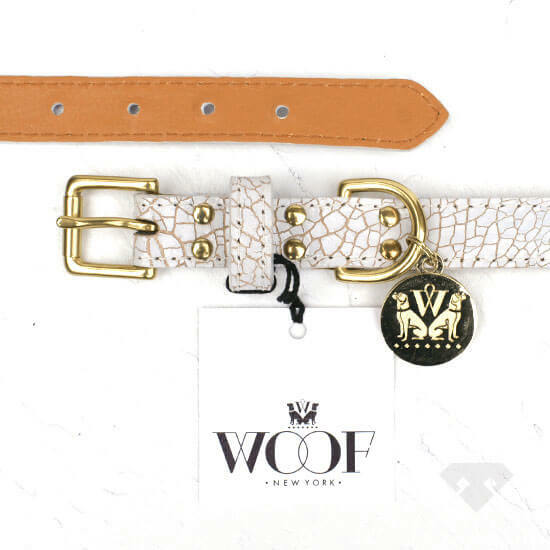 Woof New York draw their design inspiration from the sights and culture of New York City, the fashion industry and from the dozens of wonderful animals they meet each and every day. 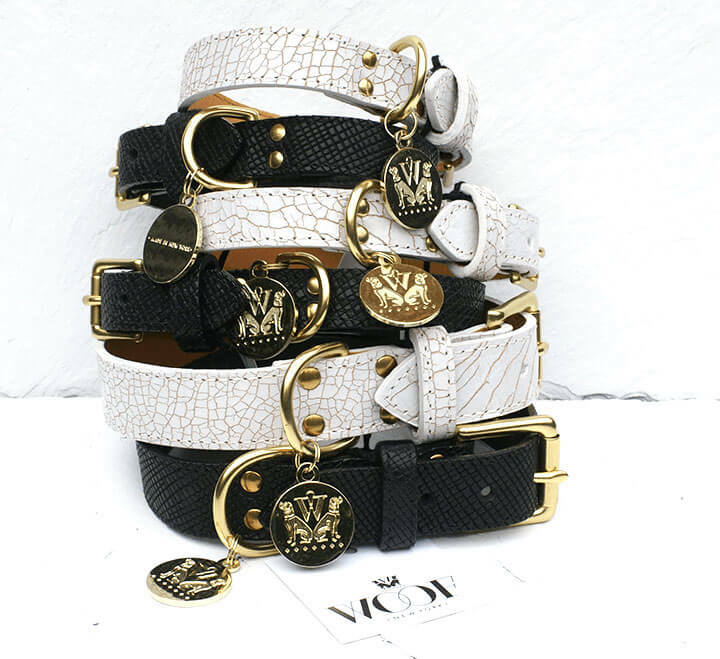 WOOF New York donates a portion of the proceeds from every sale to the Best Friends Animal Society protecting homeless animals.